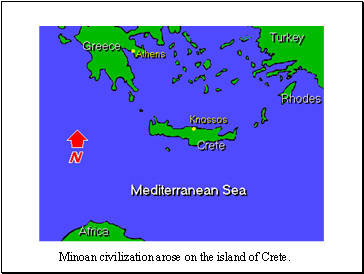 Minoan civilization arose on the island of Crete. 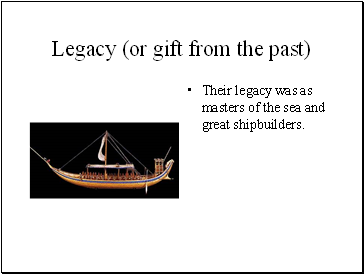 Their legacy was as masters of the sea and great shipbuilders. 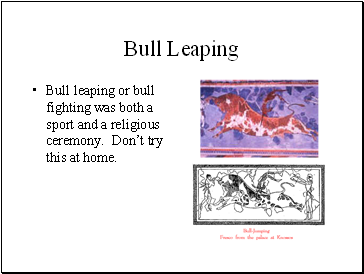 Bull leaping or bull fighting was both a sport and a religious ceremony. Don’t try this at home. One of the largest cities on Crete was Knossos. 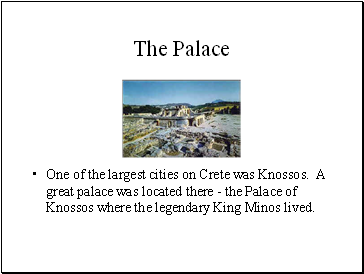 A great palace was located there - the Palace of Knossos where the legendary King Minos lived. 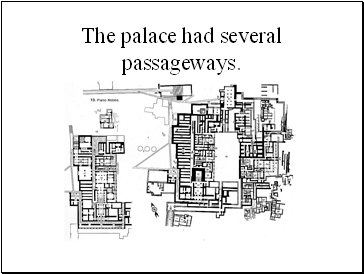 The palace had several passageways. The palace had a network of paths through which it was difficult to find one’s way. 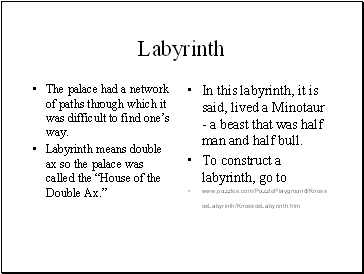 In this labyrinth, it is said, lived a Minotaur - a beast that was half man and half bull. Every year for nine years, seven youths and maidens came as tribute from Athens. These young people were also locked in the labyrinth for the Minotaur to feast upon. 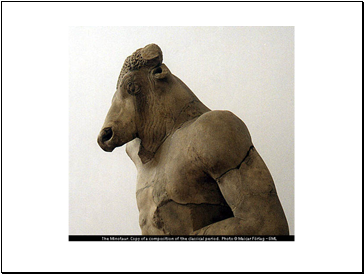 When the Greek hero Theseus reached Athens, he learned of the Minotaur and the sacrifices, and wanted to end this. He volunteered to go to Crete as one of the victims. 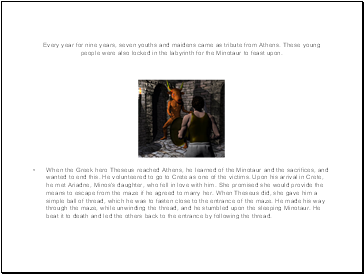 Upon his arrival in Crete, he met Ariadne, Minos's daughter, who fell in love with him. She promised she would provide the means to escape from the maze if he agreed to marry her. When Theseus did, she gave him a simple ball of thread, which he was to fasten close to the entrance of the maze. 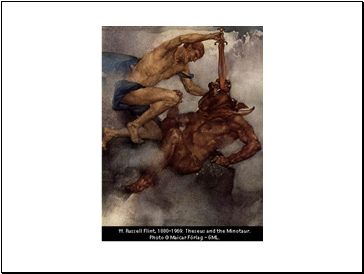 He made his way through the maze, while unwinding the thread, and he stumbled upon the sleeping Minotaur. He beat it to death and led the others back to the entrance by following the thread. 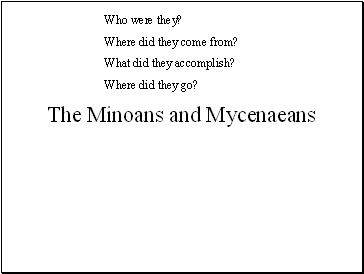 No one is certain why Minoan civilization came to an end. 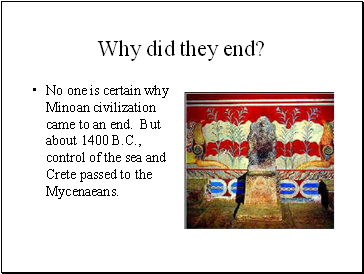 But about 1400 B.C., control of the sea and Crete passed to the Mycenaeans. One step back. . .